Lindy Cromo NCX-100 review | What Hi-Fi? Sometimes you just want to be left alone with your music, but a crying baby on the plane or packed carriage on your morning commute can disrupt those plans. If the premium cost of having noise-cancellation onboard your headphones has left you resorting to turning up their volume until you get tinnitus or pressing them closer against your ears to drown out sound, you may be pleased to know Lindy’s flagship pair is only £100. Even more so knowing that, for budget noise cancellers, they’re pretty good too. You’ll see the noise-cancelling activation switch on the right ear cup (it can also trigger a bass-booster mode) and, as promised, you get a good sense of isolation when it’s on. Sadly it doesn’t have a rechargeable built-in battery like pricier rivals such as the AKG N60 NC, so two AAA batteries are required. Lindy’s claim that the noise-cancellation mode removes up to 95 per cent of external ambient noise is perhaps a little optimistic, although the NCX-100s prove up to the challenge of reducing street noise. In our office, the omnipresent humdrum chit-chat is reduced too. Noise-cancelling headphones have to be good at multi-tasking, not only to isolate your music but play it well too, and for the money the Lindys pull off both. Clear, upfront and detailed from top to bottom, their sonic presentation is instantly likeable, like a stranger down the pub who cracks great jokes and buys the drinks all night. Bass is deep and present, being careful not to commandeer what’s a very even-handed tonal balance, and mids and highs are equally confident. Play Wolf Alice’s Your Loves Whore and you get sense of the vocal’s breathy, echoic quality. During cymbal-bashing, they comfortably keep a lid on any brightness. There’s fair texture and clarity to drums, electrics and bass guitar too, all of which remain detectable under the dense, cascading chorus, and are carried along by the Lindy’s welcome energy. 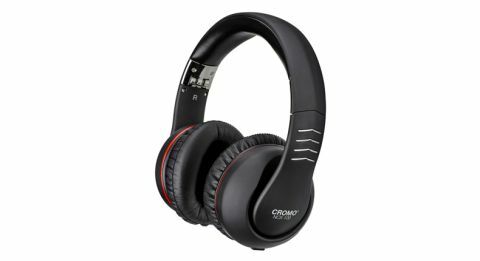 It’s an enjoyable performance that’ll have you thinking twice before snubbing budget headphones, even if we think stronger dynamics and punch would complete the package. Bass junkies will be pleased to know bass boost mode does exactly that. Lindy says you should get 20 hours of noise-cancellation before a battery swap, so one set should last you through a week’s worth of commute or a long-haul flight. When out of juice, you can still listen through passive mode, which is actually a subtler listen and exposes the noise-cancelling presentation for its wispiness. In a quiet place? Then save your batteries. Be prepared for the NCX-100s to take up a lot of room in your backpack – especially when transported inside the hard-shell case, which you also get for your money. You get a quarter of a kilo’s bulk of headphone, spread democratically between the thick headband and chunky ear cups. The build won’t be to everyone’s aesthetic taste, nor will the bland all-black design, but they are well made and fit for the job. The earcups clamp firmly around your ears, and while the pressure may take getting used to, generous padding on the headband ensures you are well protected. Although our ears are almost gasping for breath by the end of It’s A Wonderful Life, they are largely comfortable; more snug than overbearing. When it comes to noise-cancelling headphones our recommendations often go to Bose, AKG and Sennheiser models, with prices typically north of £250. As a more affordable option, the Lindy Cromo NCX-100s now join that prestigious list.